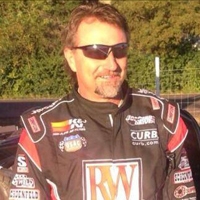 Josh Ford Motorsports, Inc has run with some of the best drivers in the nation over the years. Recently we have been privileged to have the likes of Kyle Larson, Ryan Bernal, Bryan Clauson, Kevin Thomas Jr, Jon Stanbrough, Brady Bacon & Shane Golobic racing the JFM Brand. We appreciate the talent, the enthusiasm and personality that all of our drivers bring to the track! 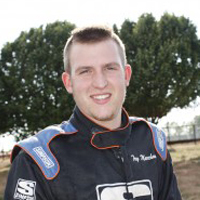 Short Bio: Trey Marcham is an experienced driver with over 11 years’ experience racing A-Class, Non-wing, and Multi/Outlaw dirt cars on tracks in Oklahoma, Texas, Kansas, Nebraska, and Illinois. Just recently, Trey placed 13th in the A Feature at the Tulsa Shootout on January 4th, 2014 in the 600cc Winged Micros. He won the B Feature. He has experience racing USAC and BCRA midgets in California and Arizona. He also has two years’ experience racing NASCAR late models on asphalt in North and South Carolina and Tennessee, running in both the Southeast Limited Late Model and the United Auto Racing Association (UARA) series. Given the multiple venues and styles of cars, he has proven that he is able to read the track and other driver styles to be able to make appropriate adjustment, find fast lines, and pass other drivers to take the lead. He is a 6-time point champion and 3-time Rookie of the Year winner. 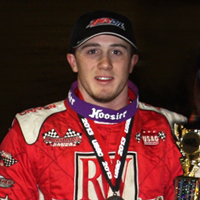 Recent honors include winning the USAC Western States Midget Rookie of the Year honors, winning the BCRA midget race in Petaluma Speedway in California, sweeping two twin late model feature races at Myrtle Beach Speedway, and winning both the A-Class and Non-wing A Features at the 2012 Inaugural Donnie Ray Crawford Memorial/Race4Life in Tulsa, Oklahoma. 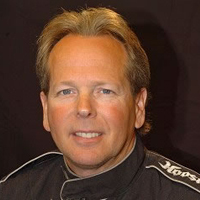 Short Bio: Dave Darland was the 1997 USAC Silver Crown Champion, 1999 USAC National Sprint Car Champion, and 2001 and 2002 USAC National Midget Champion, making him one of only five drivers to claim all three USAC National Championships. 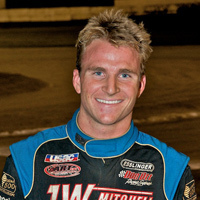 Race wins include the 2007 Turkey Night Grand Prix, a Southern California traditional race held on Thanksgiving Day for many years, and three wins at the Oval Nationals, held at Perris Auto Speedway in Perris, California. 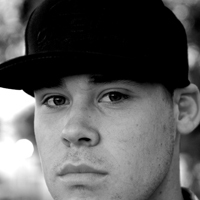 Bio: Kevin Thomas, Jr. started his career in racing with BMX bicycles. In 1999, at the age of eight years old, he amassed numerous wins on his way to becoming the Alabama State Champion and finishing tenth place in national points. For the next several years until 2005, Kevin would concentrate his athletic talents towards his traveling baseball team. This avenue also found his pinnacle of success winning the twelve and under World Series in the USSSA baseball series. However, this could not fill his desire to compete on the race track. His father, Kevin Thomas, Sr. was an accomplished 600 Mini sprint driver in the southeast with many wins to his credit, always had the youngster involved with the cars. Finally in 2005 he was given a chance to drive one of these cars capable of speeds up to 100 miles an hour and only thousandths of seconds off the lap times turned by their full sized sprint car brothers. The first time he ever sat in the car, he was on the track with eighteen others on a fast three-eighths mile track. He proved on this night that he had something special, staying out of trouble and passing his way through to a respectable ninth place finish. The impressive part of his inaugural season is the large size of tracks he ran. From the start he ran 1/3, 3/8, and 1/2 mile tracks. This talented youngster met each track with patience and aggressiveness. For the rest of the 2005 race season, he showed his racing peers, most of them whom are grown men, he was a serious contender. The end result was the O’Reilly UMSA Rookie of the Year, Most Improved Driver, and seventh place in the end of year point standings. 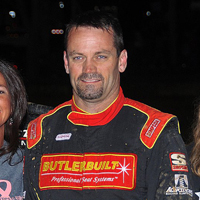 Short Bio: Jon Stanbrough is one of the best Sprint car drivers in the nation, currently 3rd in the USAC National Sprint Cars Race. Jon has won over 180 features is 2 time National Sprint Car Driver of The Year, 5 time Kiss champion, 2006 Sprint week Champion, Two Time Kokomo Champion, Two time Valvoline Cup Champion… need we go on? Stanbrough has been racing for more than a decade and is already in the HARF Hall of Fame, inducted in 2011. Short Bio: Matt has been racing for the better part of the last 10 years. He has ran everything from Quarter Midgets and Half Midgets early on to Midgets and Non-Winged Sprints most recently. Mitchell has been very consistent in the USAC CRA Sprint Car racing this year having placed in the top 10 in every one of the last 10 races he has competed in… including 2 WINS! Matt is currently 4th in the 2013 Amsoil USAC/CRA Sprint Car Standings and last win was just a few back in Santa Maria.